It was a sunny day at the seaside and as I got hungry, I started to search through my fridge and pantry to see what I could make for lunch. I remembered I had half a pear left from breakfast and a lovely piece of lamb in the fridge. What could one create with these two ingredients? 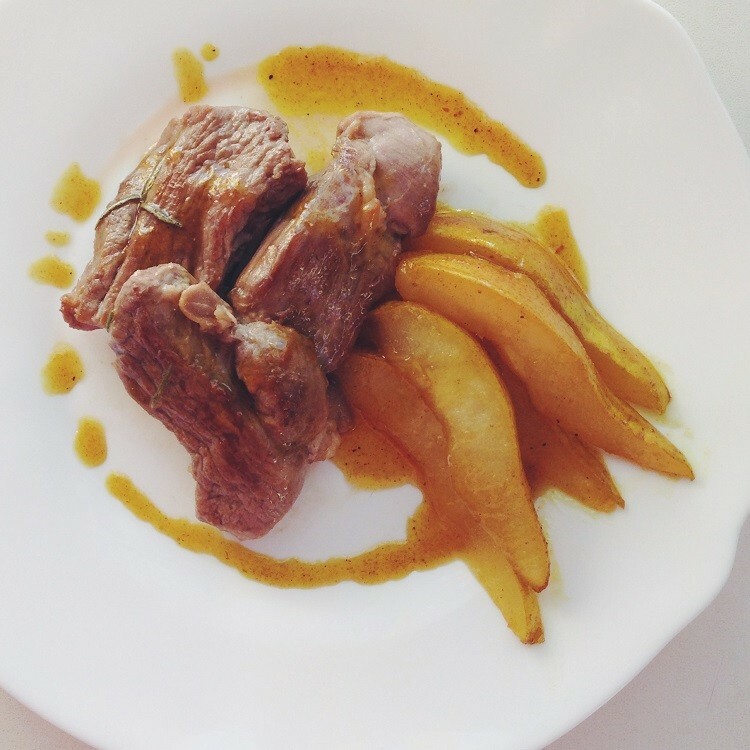 Grilled lamb with spicy curried pears of course! 1. Marinate the lamb in olive oil and rosemary for at least 30 minutes. Heat a pan to medium heat and grill the lamb to your taste. 2. In a separate pan, melt the butter, add cayenne pepper and curry powder and saute for 1 minute. Add the lemon juice and honey and mix well. Add the chopped pears and stir to coat the pears. Cover and turn the heat to low to let simmer until the pears are softened. 3. Serve with a side of salad.